What a pleasant, stress-free and patient experience. I do not like car salesmen, however these guys were very easy to work with. Eric listened to my requirements, made a few recommendations then allowed me to consider a few options. I test drove the Lexus and it was a wrap. The only thing left was to work out a purchase price. The owner/manager was very easy to work with. 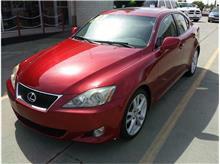 We worked out a deal that was amicable to both parties which included warranty and service options. My out the door cost was well within the budget I planned and discussed with Erik and the management. The best thing about these guys was "listening to the customer" and not trying to talk me into something I didn't want. 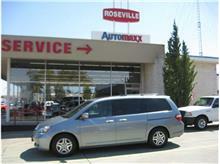 First I would like to thank the guys at Roseville Automaxx for the great service they provided throughout my purchase they made car shopping a breeze. 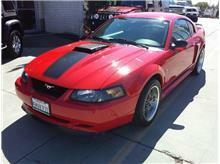 I came in on a Saturday to look at a beautiful Torch Red 2003 Ford Mustang Mach 1. I looked it over and immediately fell in love. I did not make my purchase that night as the misses wanted to check it out before we made our final decision. But the next day I brought the family along and made my purchase. I couldn't be happier with my new car and the service I was provided. Thank you Mike and Howard for making my dream a reality I really appreciate you guys for making car shopping a breeze. We really enjoyed our experience with Max, it was a pleasure doing business with him. He was honest, he made car buying fun and easy! Would definitely do business with them again. Howard was our Sales rep. Loved how he interacted with us. We cant stand a high pressure sales rep. He understood our specific needs and listened to our requests. We have walked away from people that make demands on us without considering why we asked for what we wanted.He deserves HIGH PRAISE for being the BEST at his job. Liked Howards great attitude and knowledge of vehicles. AWESOME HOWARD, will recommend him and Automaxx! We saw the truck we purchased on the internet. When we went to Automaxx we were greeted by Chris. Chris was very helpful and answered all of our questions. 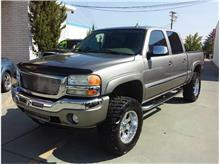 He showed us the trucks we were looking for and not trucks we could not afford like some of the other dealers. We told them what we needed as far as financing. The finance staff were able to get us the monthly payment and terms that we had requested. I would recommend Automaxx to friends and family !!!!! 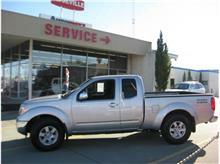 My brothers and us came down here to look at their selection of Toyota trucks and found a really nice 2007 Tacoma 4wd. Howard, our salesman, came out and chatted with us. He was professional and didnt give us the typical salesman gimmick. He was patient and allow us all the time in the world to inspect the truck. After inspecting the truck for a good 30-45minutes, we took the truck for a 15-20min test drive. The truck was wonderful. We ended buying the Tacoma. I can't really give my input on the other staff members, but if you do ever decide to shop here, ask for Howard. Great guy and very easy to talk to. No pressure with him. Thanks Howard!!! I am going to be very positive, my spouse and I had tried several dealers to buy a vehicle and had been turned down due to our very poor credit score. We have been told that there won’t be a bank that will accept our application. Just went we’re about to lose hope. We can to AutoMaxx. 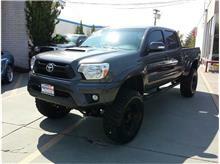 We drove off with the 2006 Toyota Tundra. We would big thanks to the salesman Howard for telling us not to lose hope because AutoMaxx has the best Finance system (100% true) , Howard, thanks for your customer service and getting us financed, and Greg for went an extra miles to help us find the right lender and low APR even thought they’re 15 min to closing. Recommend for public. Howard and Ed were very professional and personable! I feel the price, condition were excellent! Highly recommend! The key to buying a big-ticket item is research. 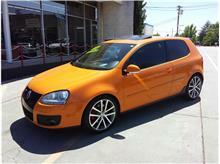 I found my car at AutoMaxx on cars.com. I researched the Kelly Blue Book numbers on the car and my trade-in. Consequently, after inspecting the car on the lot and driving it, I was happy to find it as advertised. During negotiations there was absolutely no drama. Ed, my salesman, did not pressure me and was completely professional. I got a great car at a fair price with numbers I anticipated. 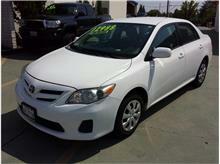 From what I saw on the lot, AutoMaxx stocks good clean used cars. I am happy to have found my new daily driver at AutoMaxx. I had very little time to find a car with low mileage that I could afford. I saw Automaxx from the road and drove in. I met Ed and told him what I needed. He just happened to have exactly what I needed. He was great. No fast talking, high pressure sales. They even replaced the CD player since it wasn't working properly. 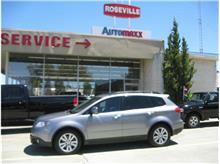 I would definitely recommend Roseville Automaxx. My wife and I went to automaxx last night. We were very happy with our salesman Ed, the finance guy Greg was really helpful and got me the truck I wanted at a low interest rate even with not the greatest credit. I would recommend automaxx to anybody looking for a hassle free experience. These guys are amazing! I was debating between buying here or another dealership which was just about a 5 minute drive from Roseville automaxx the other dealership were rude and snobby they tried to pressure me into a car I was looking at I did not like that at all they knew I was debating on them or Roseville automaxx and as soon as I left their business they called none stop saying "we have people interested" so and so to the point where I didn't want to deal with them anymore. At Roseville automaxx Steve was amazing and such a nice guy he let me have a go at test driving it (GTI Fahrenheit) and I fell in love with it he was very relaxed very curtious with our questions he did not pressure me at all into buying the car that is what I love most about them. I want to say thank you guys so much for everything if ever in the near future I'm looking for a car again you will be the first dealership I look into. I would 100% recommend them to anyone looking to buy a car with great experience. Actually a decent used car buying experience, no pressure at any step and pricing was quite fair (matched the Kelly Blue Book pricing, not over inflated like others). I would not hesitate to buy from them again. Wanted to post a very positive note about this dealership! Drove a long way to check out a specific truck. Ed, the salesman, was relaxed, friendly, not high pressure, good sense of humor! Greg in finance was awesome as well, explaining the process in detail, and going the extra mile to arrange decent financing rate for me. I was there less than 3 hours, drove off in a very sharp, low mileage truck that I love and can keep for years to come. BTW, if looking for all types, configurations of rigs, this place has tons of cream puffs! Definitely worth your while and effort to check this place out. I would buy another rig from this outfit anytime. Robert Avila from North San Juan Ca. I had tried several dealers to buy a vehicle and had been turned down due to my very challenged credit. I also had a very challenged trade in if you know what i mean.Even with all that Greg made this one of the most satisfying car buying experiences i have ever had!!! 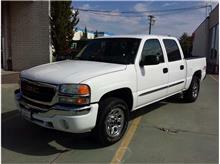 He found a bank that would work with me to help reestablish my credit.I was able to buy a very nice pickup instead of just having to take what i could get. I will gladly shop here again. Thanks Greg. Steve in sales was awesome, as well as the staff in finance. The staff was very friendly but most of all NOT pushy. 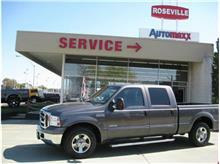 I would definitely recommend Roseville Automaxx for anyone looking to buy a quality vehicle. Veteran friendly! For the better half of my adult life I have struggled trying to find a quality dealership to award my business to. This dealership however was far from being a disappointment. Max Mitchell (whom sold me my truck) was an awesome individual. He was honest and fair and DID NOT pressure me too buy if I wasn't ready. Furthermore, the owner personally thank me for my business and for my service to the country. I would highly recommend this dealership as they afforded me the best car buying experience I have ever had. I have never enjoyed the car buying experience, until this week. Max was laid back, knowledgeable, and did not test my patience with any of the usual car salesman nonsense. I am very happy with the car, and the price, the terms. I am especially grateful for his professionalism, and his talent for listening. I got the car I wanted, and the financing I needed, in under an hour. I would recommend any of my family and friends to go and see Max Mitchell, before buying a car anywhere else. I just spent my most enjoyable experience buying a vehicle. 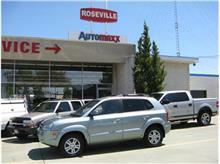 Automaxx Roseville has figured out the recipe for quality vehicles, the right price and a combination of attentive sales support without all the pressure tactics usually found in the industry. Max was the sales guy that walked me through my vehicle buy and did a great job. Great experience..............I am sold as a repeat customer. I found my van on AutoTrader.com and came in for a same day showing. 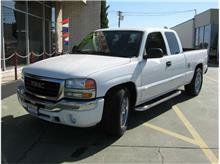 The price was very competitive compared to other dealers in the region. I was happy to find a used van fully loaded for such a great price! 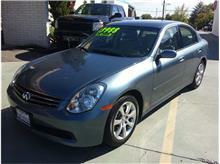 My salesman Greg was very kind, honest, and helped walk me through the financing process without any hassle or pressure. I would definitely come back to AutoMaxx! Joel and Greg were great in assisting me to find my vehicle. I came in with a paper of the vehicle I had seen on their website. 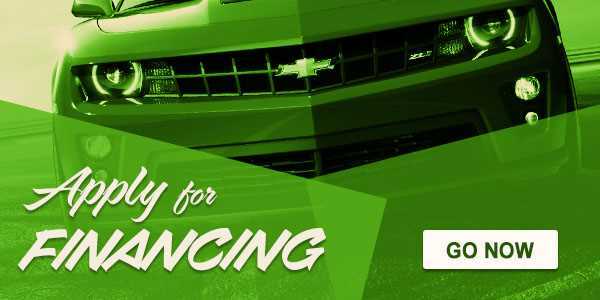 They helped me in finalizing a deal very respectfully, and were very professional in the way they presented their reasons for buying the car, and doing all the other final procedure before I was handed the keys of the vehicle. I thoroughly enjoyed Roseville Automax's customer service. Thank You.